Nanyantara Sen was broke and had lost her one connection to affordable birth control when she ended her relationship with her college boyfriend. She was 22 and took up a job working at a film festival making about $14,000 a year. She lived in Lansing, Mich. at the time and went to her local Planned Parenthood to get birth control. The appointment was pretty standard. A clinician took her medical stats, sat her down and asked about her family health history. Then they talked about birth control options. A shot called Depo Provera seemed like the best option. It was affordable. She only had to take it once every three months and they had the shot in stock there at the office. So she took the shot. Over the course of a few months, Sen started to experience some serious changes in her mood and body. She gained 30 pounds and fell into a deep depression. Along with her depression, she felt extremely fatigued which made it difficult to keep a job. She suffered for about two years with the depression and fatigue until she got a job in the city which offered health insurance. By that time, she had completely lost her period. She finally saw an OB/GYN who was horrified that she had taken the shot. Her family’s history of blood clots posed a serious risk to Sen for stroke because the shot can impact blood flow. She also explained to her that she may have trouble getting pregnant because of the shot. Like many contraceptives, DepoProvera is designed to limit fertility in women who use it as a birth control. But Sen, along with a number of other women, have found the long-term side effects of the drug have not outweighed the benefits. The drug is also disproportionately prescribed to women of color, namely Black and Native women. “That does suggest that there is a socioeconomic and racial disparity in prescribing practices,” said Dr. Edra Spevack, who wrote a paper published in Integrative Medicine about the long-term side effects of the Depo shot. Several court cases against Pfizer alleged that the drug led some women to lose severe bone density which caused osteoporosis. A few of those early cases led the Federal Drug Administration to apply a “black box warning” on the shot warning users of the risks of the drug. The National Institute of Health has confirmed these risks stating to users that the longer they use the medication “the more the amount of calcium in your bones may decrease” and the “amount of calcium in your bones may not return to normal even after you stop using medroxyprogesterone injection,” according to its website. But for many low-income women, the cost of the drug makes it an attractive option. 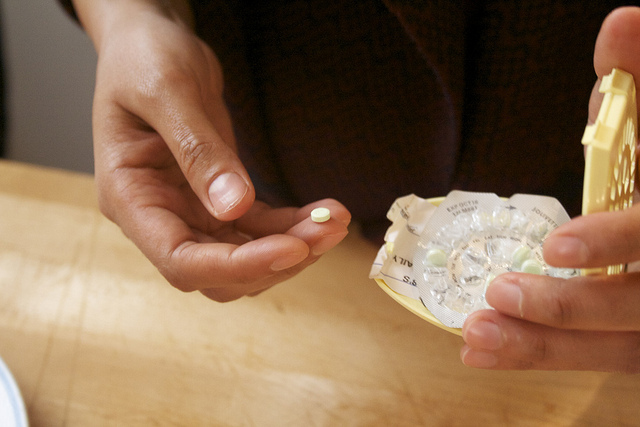 Most other birth control pills can cost about $40 a month. For low-income women, that can be quite expensive. The Depo shot can cost between $35 and $100, but it needs to be taken only every three months. In some cases, the shot’s risks might outweigh the benefits, said Spevack. Women of color suffer from higher risks of unplanned pregnancies and maternal mortality. So a birth control option that is affordable and doesn’t require taking a pill everyday can be a great benefit. But for Nana, the drug made a severe impact on her body. Now that she’s educated herself about the drug, she feels more informed and feels like she has more agency over her body. Though she says she’d never use the drug again.